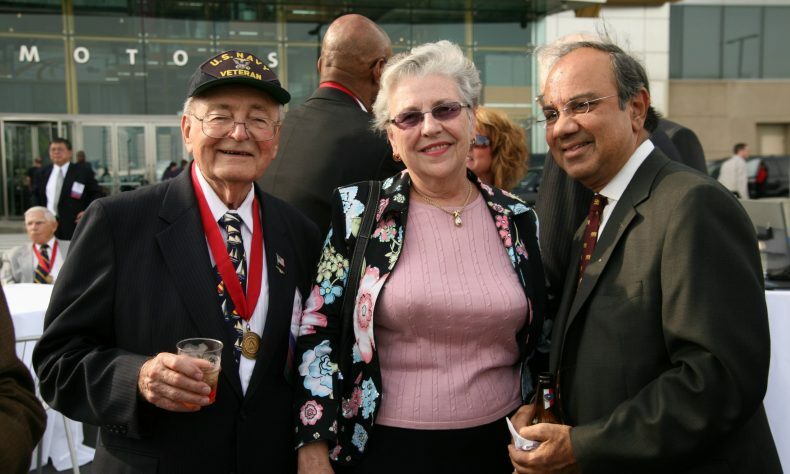 SOUTHFIELD—John Banicki, engineer, entrepreneur, and member of The Engineering Society of Detroit for more than 65 years, died on April 3 at age 96. Banicki was born June 20, 1922 in Detroit to Anastasia and John Banicki Sr. He is survived by his wife of 48 years, Katherine Shanahan, whom he married April 17, 1971. Banicki served as a naval aviator during World War II, where he was a pilot in the Pacific Theater on the U.S.S. Onslow, a seaplane tender. After the war, Banicki studied civil engineering at Wayne State University. Banicki was CEO of Testing Engineers & Consultants Inc. (TEC), a company he founded in 1966. The Troy-based company provides engineering consulting and testing services for construction in a wide variety of industries, including local and state government, education, health care, financial, commercial, industrial, residential, energy, and transportation, as well as religious institutions. As an engineer, Banicki was involved in the construction of many Detroit landmarks, including the Renaissance Center, the Book Cadillac Hotel, Ford Auditorum, Lafayette Park, and the Detroit People Mover. He developed a tutoring program for young Polish engineers and continues to sponsor an annual engineering scholarship at Wayne State. Banicki was also an accomplished musician, playing trumpet with the house band for WXYZ during the heyday of live radio dramas, and playing the piano for friends and family. Banicki joined ESD in 1953, and served as an ESD board member and on many ESD committees during his 66 years of membership. Included were the Construction Activities Committee, the Education and Professional Activities Board, the PE Advisory Committee, the FRP Planning Committee, and more. He also served as a judge for the ESD Construction and Design Awards. Banicki also received virtually every award the organization grants, including a Lifetime Achievement Award, a Distinguished Service Award, and the rank of ESD Fellow. Banicki was also involved in AIA Michigan, AGC Michigan, the Michigan Society of Professional Engineers, and the National Society of Professional Engineers. Besides his wife Katherine, who continues as an ESD board member and is president of TEC, Banicki is survived by children Cindy (Garrett) Howard, Mark Downey, Anastasia (Michael) Banicki-Hoffman, and JoHanna Banicki, five grandchildren, two great-grandchildren, and many cousins. Banicki will be laid to rest at the Great Lakes National Cemetery in Holly. Memorials may be directed to the Holy Cross Polish National Catholic Church in Hamtramck, http://holycross-pncc.com/.